This ring has been made from a combination of Platinum and Palladium. 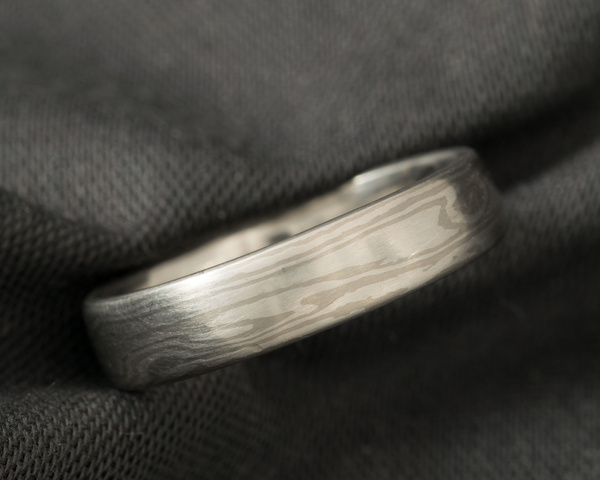 It has the most subtle contrast of all of the Mokume Gane combinations making it very elegant and sophisticated in appearance. Ladies wedding rings in Platinum and Palladium start from £1,080, Gents wedding rings in Platinum and Palladium start from £1,790.